Add a touch of modern and simply chic style to your bathroom with this bathmat. 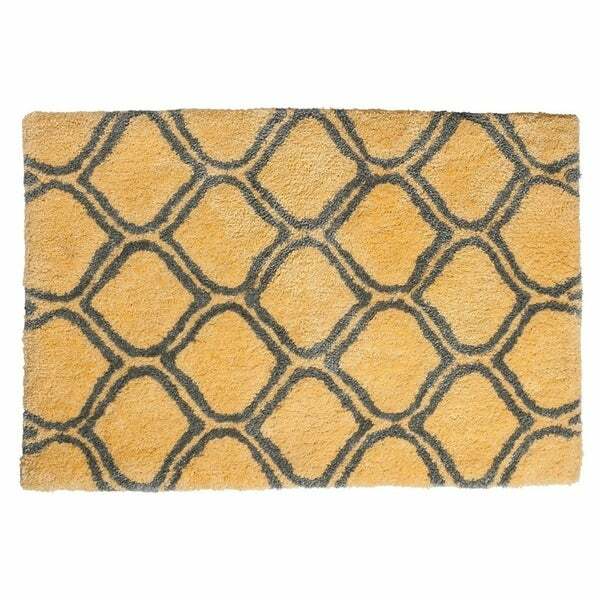 Designed with a unique yellow and grey detail, this bathmat is the perfect splash of color you need in your bathroom. Made from polyester and cotton, this bathmat is ultra soft to the touch, it is just what you need to walk on after your relaxing shower or long day on your feet. This product is easy to clean and may be machine washed with cold water temperature and mild detergent. Available in 20"x 32" sizes. Recommended to use with non-skid backing pads. The images we display are the most accurate representation of the color of the product possible. However, due to differences in computer monitors, we are not responsible for differences in color between the actual product and your screen.